“There is no greater reward than helping people remain active and healthy.” – Dr. Kevin D. Smith, D.P.M. We provide quality podiatric medical and surgical care based on the highest professional standards in our specialty. Our foot care team receives the latest education in podiatric care and takes pride in early intervention and preventive treatment of your feet. We offer choices for your care, so you can be confident in selecting the right treatment. When it comes to foot care, we aim to exceed your expectations. Dr. Smith graduated from Dr. William M. Scholl College of Podiatric Medicine in Chicago, Illinois in 1997. Following an internship at North Chicago Veterans Administration Medical Center, he received surgical training through Catholic Health Partners, which is affiliated with Northwestern School of Medicine in Chicago. He established his practice in the Quad Cities and serves on the staff at community hospitals and medical facilities. He receives numerous referrals from many local doctors. 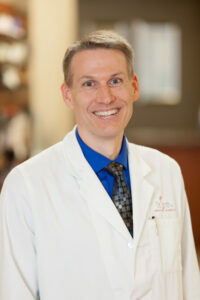 In addition, Dr. Smith performs original research on podiatry issues. His papers have been published in the Journal of Foot and Ankle Surgery and Foot and Ankle International. Dr. Smith resides in Moline, Illinois, with his wife, Judy. In the Quad Cities community, he has been involved in the American Diabetes Association Tour de Cure Cycling Event and served as a medical volunteer at clinics and athletic events. “I’m excited to join Dr. Smith in continuing to provide high-quality foot care to the Quad Cities.” – Dr. Brian Buckrop, D.P.M. Brian D. Buckrop, DPM is a graduate of the Illinois College of Podiatric Medicine. 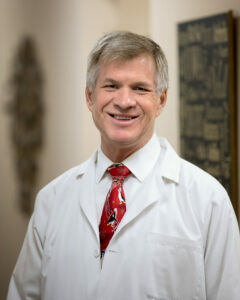 He is Board Certified in Foot Surgery by the American Board of Foot and Ankle Surgery. Dr Buckrop is a member of the American College of Foot and Ankle Surgeons, Illinois Podiatric Medical Association and American Podiatric Medical Association. He is licensed to practice in Illinois and Iowa. He has been in private practice in Moline Illinois for over 30 years. He and his wife, Susan, live in Moline and have two children. Dr Buckrop is a second-generation podiatrist. His father, Dr Mark Buckrop practiced in Rock Island Illinois for over 40 years starting in 1953. There has been a “Dr, Buckrop” caring for the foot problems of the people of the Quad Cities for the past 63 years. When not seeing patients, Dr. and Mrs. Buckrop enjoy spending time together, listening to music, walking, doing yard work, boating and traveling.